I'm also not in school for the majority of August. I think I only worked two days in August. 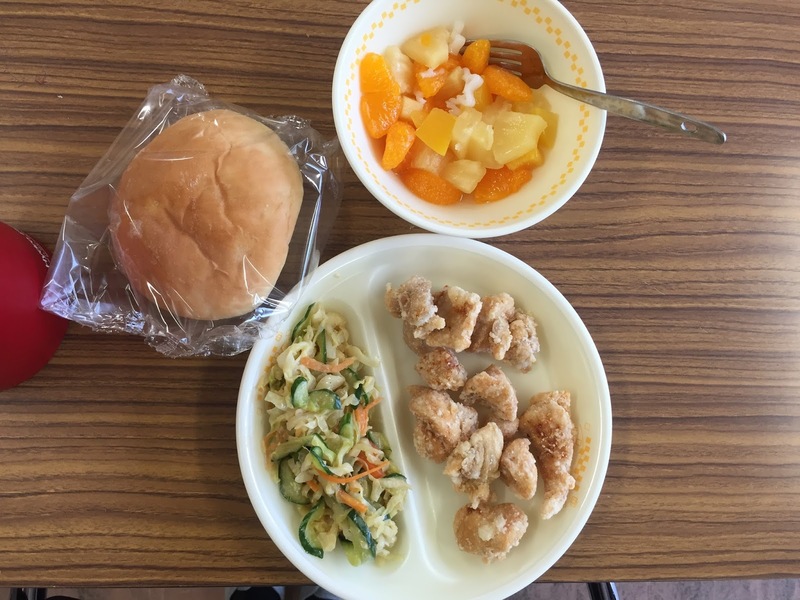 However, because the school lunch is billed by the same cost monthly (so months with less days means lunch is slightly more expensive) so they just don't provide lunch in August. Otherwise, the two days that I worked, my lunches would've been about $20 each! Unfortunately, no one told me this, and I showed up my first day back with no lunch and had to leave school to get some... I had even emailed the company asking about this, but of course I never got a response back! 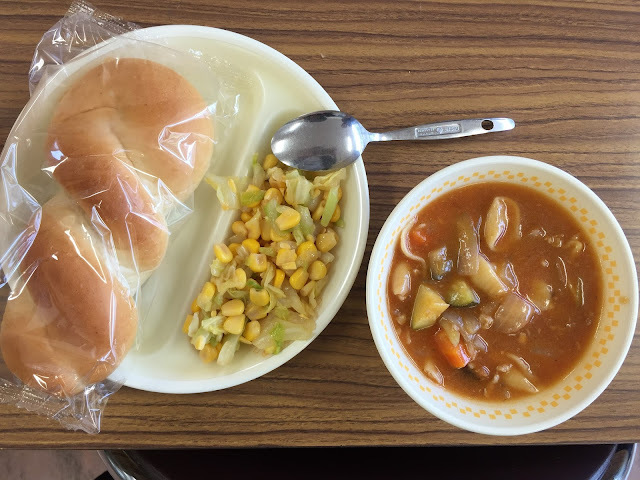 Twist bread, corn cabbage salad, and tomato and shells stew. 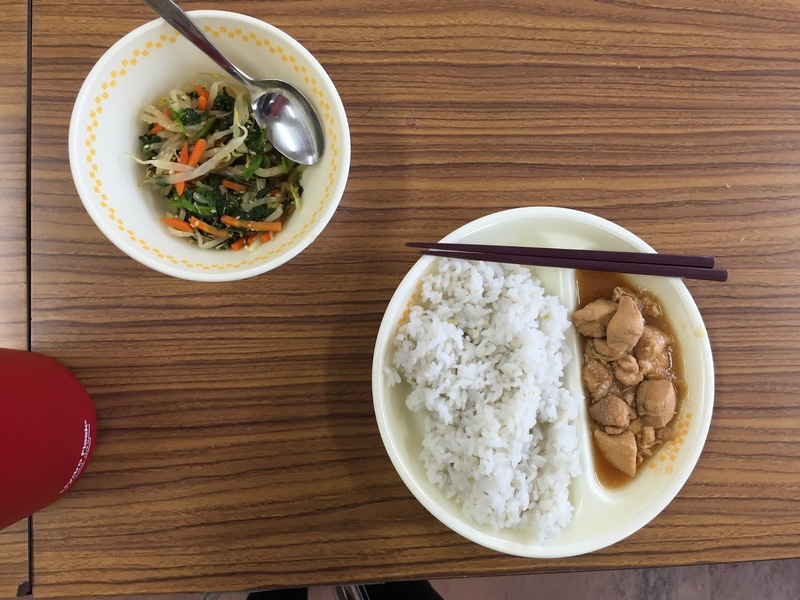 Boiled chicken in shoyu, white rice, and mixed salad. Mixed fruit salad, chicken karaage, salad with sesame dressing, and a roll. 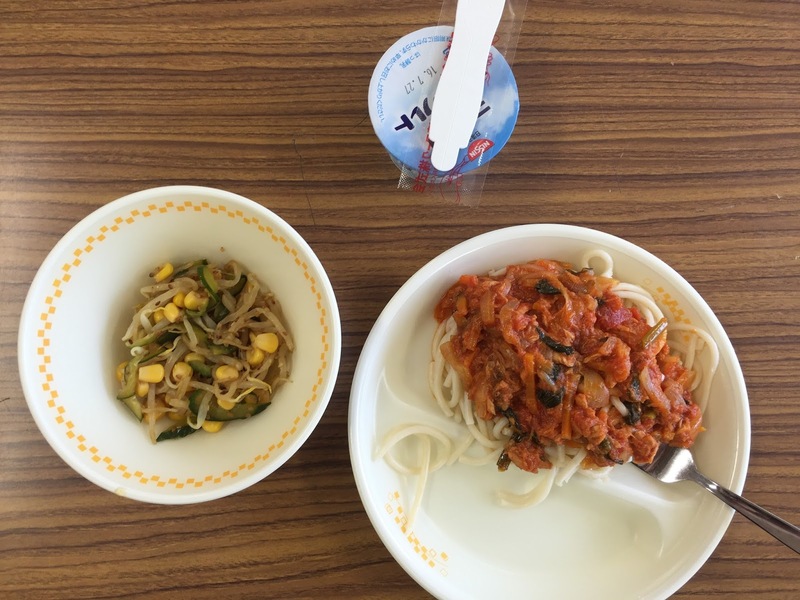 Bean sprouts salad, spaghetti, and (semi-frozen) yogurt. 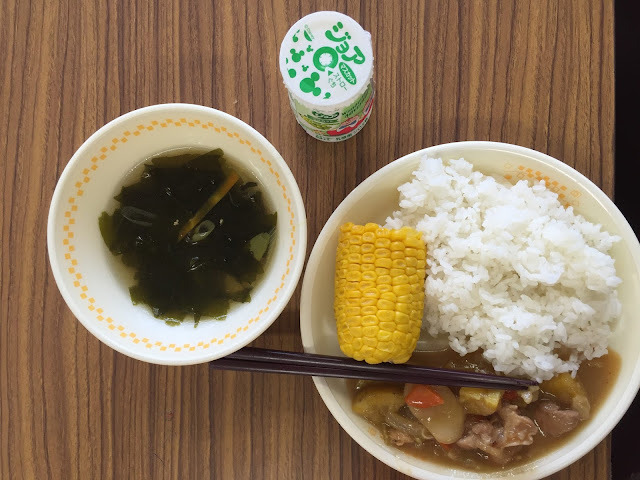 Seaweed soup, corn, rice, chicken and vegetables in sauce, and a drinkable-yogurt drink. 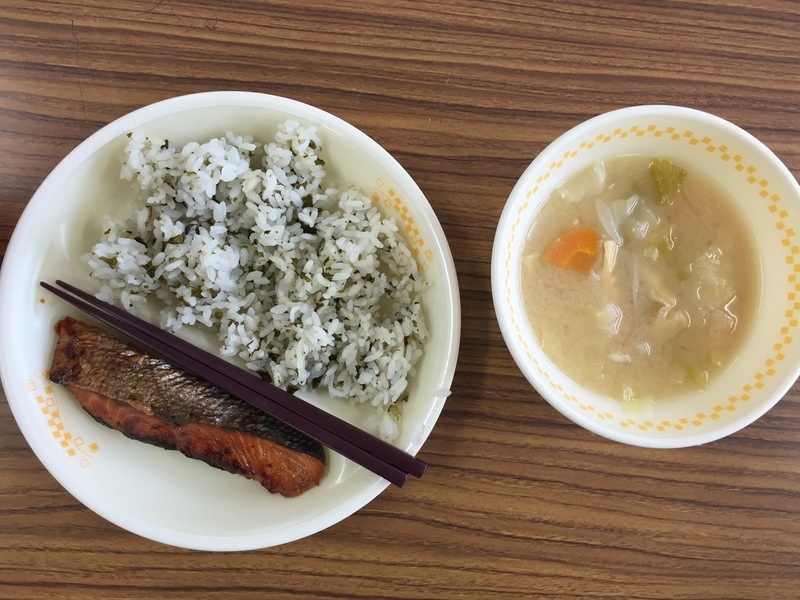 Fried salmon, seaweed rice, and miso soup with cabbage. 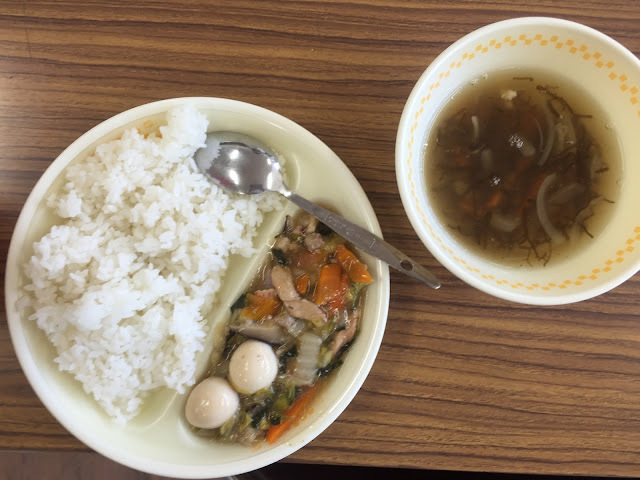 Rice, Chinese-style meat and vegetables (and quail eggs), and seaweed soup. 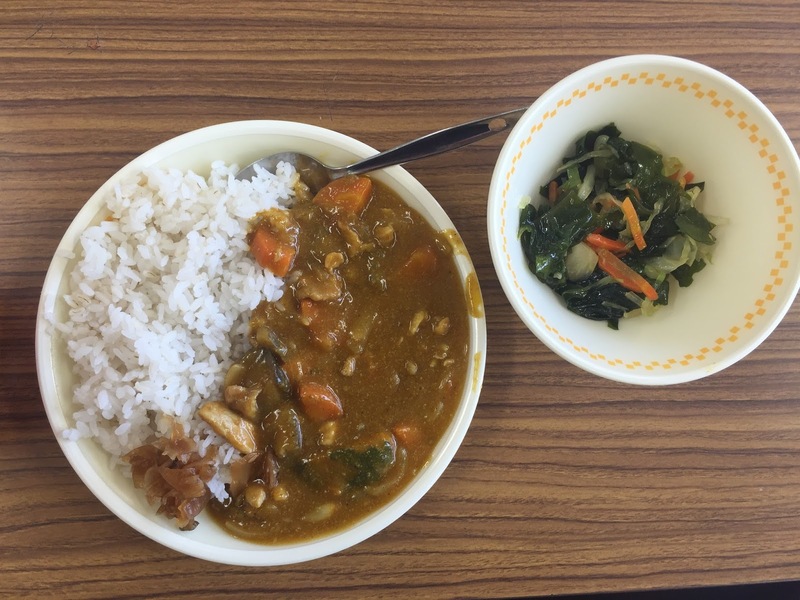 White rice, vegetable curry, and seaweed salad. 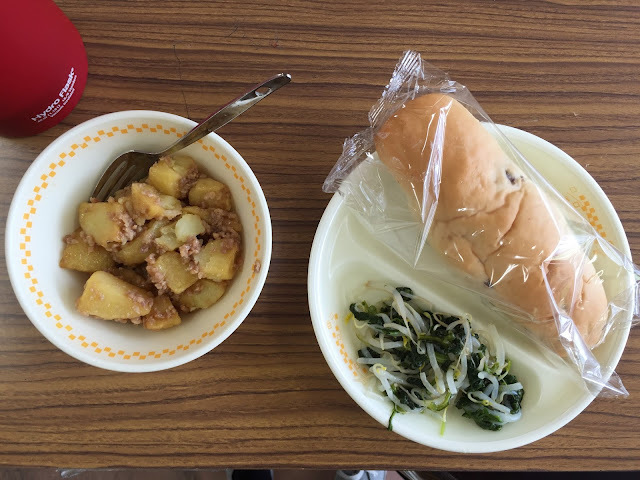 Meat and potatoes, bean sprouts and spinach, and raisin bread.